It's funny how people see things in different ways. But maybe it's just my Netflix binge watching that alters my view. 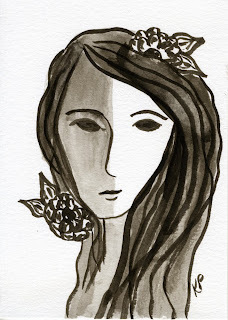 This piece I did with India ink is in a style reminiscent of the early work of artist Marie Laurencin. 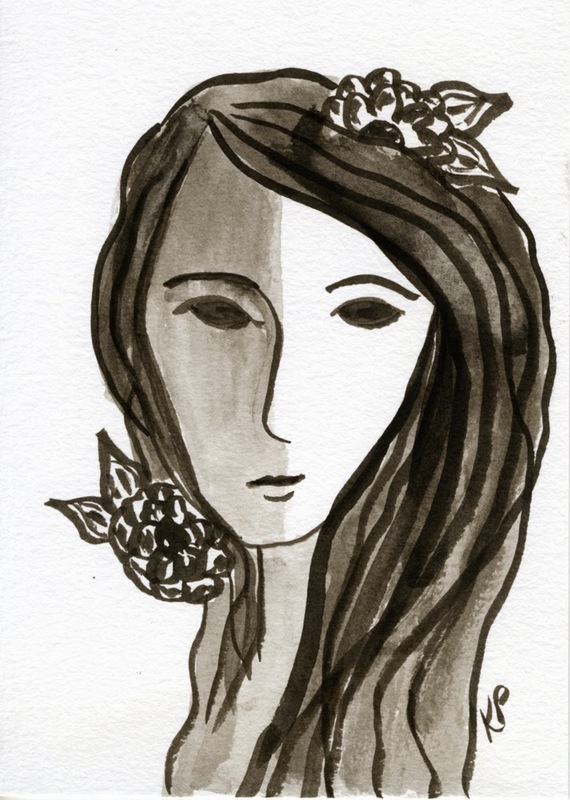 I think the idea is to have her look sweet, mild, and kind, but all I keep seeing is demon eyes a la "Supernatural". Ah, well, works for me. I like it.